Since 1981, Arber Greenhouses Ltd. has been your family owned full serve garden centre. Specializing in home grown bedding plants, tropicals & perennials. 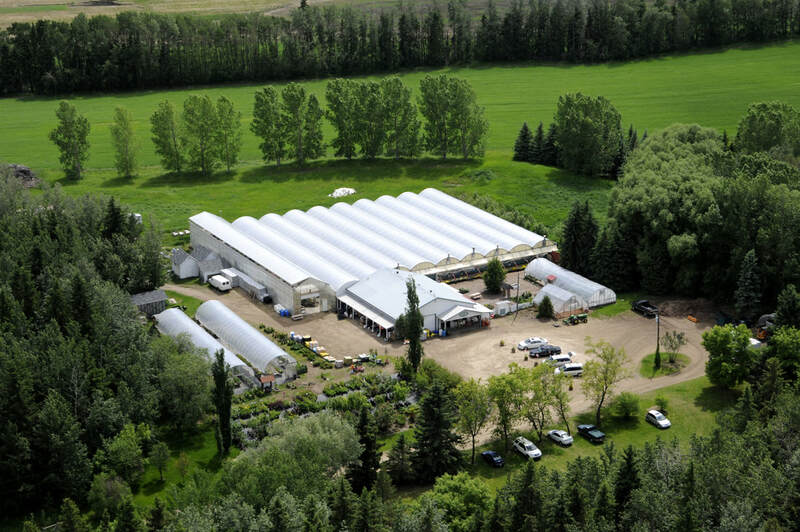 Aerial view of Arber Greenhouses Ltd.
Bedding plants, tropical houseplants, perennials & Poinsettias are all grown right here! Ask us about our custom planting service for spring / fall / winter pots & containers. Be inspired to stay on trend with beautiful home decor and ladies fashions. Arber carries a variety of brands. Arber has workshops & events scheduled throughout the year. Events include the Ladybug Release Party, Christmas Craft Sale and Tea & Trends Fashion Show / Tea Party. Check our Calendar of Events regularly or subscribe to our Newsletter for updates. Subscribe to Arber's Newletter to stay up to date!